One of Princeton's most popular brushes, due to both its beautiful appearance and amazing performance. Umbria is truly special with its deep olive colored handles coated with the Velvetouch silicone finish. 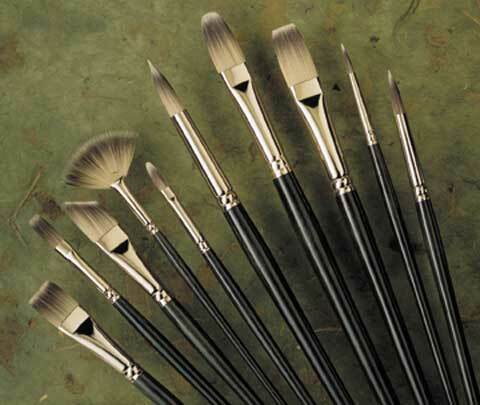 These brushes look beautiful in your studio, feel great in your hand, and provide unique performance characteristics. The resilient hair is not as stiff as natural bristle but is firmer than sable.